We've been looking after New Zealanders since we were founded in 1926 as the South Island Motor Union (SIMU). AMI has changed over the last 90 years and we're now part of IAG, the largest insurer in Australia and New Zealand. We're local like you. If you'd like to chat face-to-face, we have over 60 stores nationwide. We're also available on Facebook, over the phone or online. At AMI we’re committed to putting you - our customer - at the heart of all we do. As one of New Zealand’s leading general insurers, we’re proud to win awards that recognise our commitment to outstanding customer service. When choosing an insurance company to protect your important assets, trust is vital. 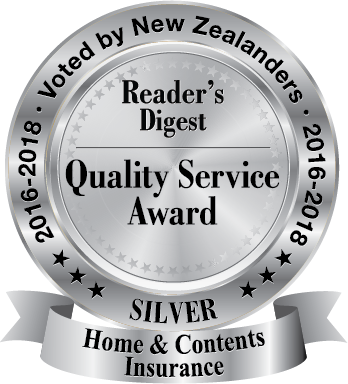 We’re proud to be one of New Zealand’s most trusted insurers, winning the Reader's Digest Highly Commended Trusted Brand award for General Insurance five years running. We know that great insurance is about more than just having the right policies - it’s also about giving our customers outstanding service. 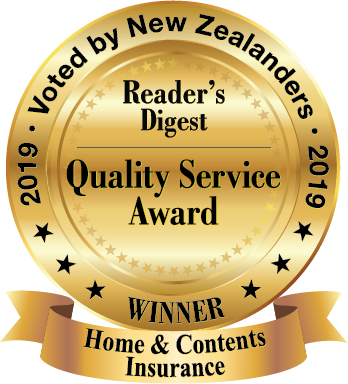 Whether it’s at claim time, when you’re getting a quote or when you just want to pop into your local AMI store for a face-to-face chat, we’re proud to be voted New Zealand’s Gold winner for Quality Service in Home & Contents Insurance in 2019. After customers interact with us, we ask them how we did and what we can improve on. Here's some feedback we recently received. "Every time I deal with staff at AMI they are always extremely helpful and courteous." "Customer service is great rates are low and affordable." "Have been with you a long time and have always been looked after very well." "Interaction with staff has always been great and enjoy having a local office that I can go into and deal with someone on a personal basis when necessary." "Good prices and staff were very helpful."